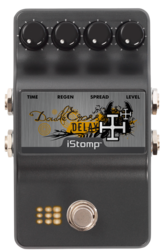 The Double Cross Delay is a unique two second dual delay that produces alternating delay repeats between the pedal's two outputs. 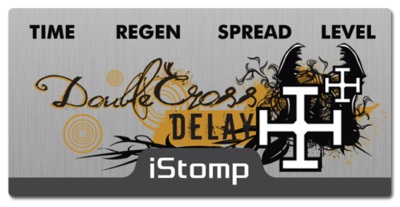 With the SPREAD knob set at 12 o'clock, the Double Cross provides a classic Ping-Pong delay effect. 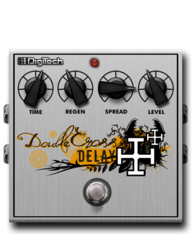 At extreme settings, the Double Cross creates cool rhythmic echoes that will give your playing a distinctive sound. 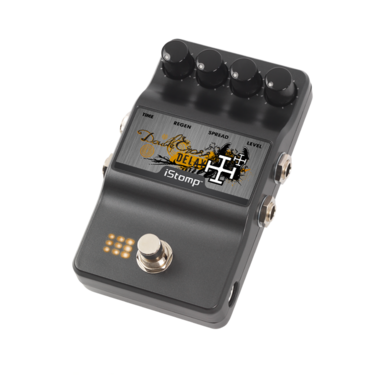 TIME - Adjusts the delay time from 20ms to 2 seconds. 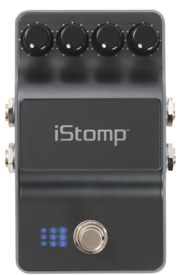 When Tap Tempo is enabled, this knob changes the delay multiplier. SPREAD - Controls the panning ration of the repeats. MATCH - Controls the output level of the effect.